Getting Grace is a story about a dying girl who ends up teaching everyone else, notably a funeral home mortician, how to live. 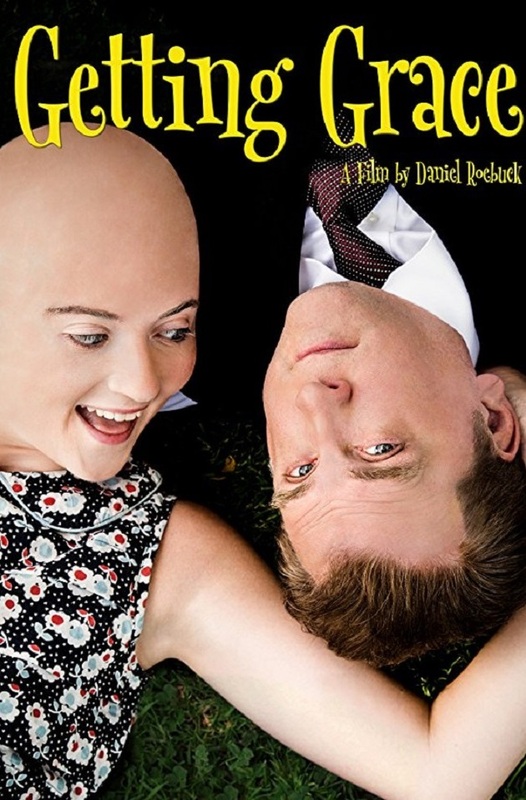 It’s a story that has been 12 years in the making and the dream child of actor, writer, and director Daniel Roebuck (who plays the mortician) and produced by his wife, Tammy Roebuck, a Tampa native. It’s the first feature film they’ve collaborated on together and they have five more movie ideas in the works. All of the themes are based on their strong Christian faith but they don’t want to be “preachy” as Daniel says, they just want to tell “an allegory of God’s grace”. By the time Tammy and Daniel met, he was already a well-known character actor in both film and TV shows. Tammy says her favorite characters of her husband are from Lost and The Fugitive. They have limited time together as Gaither High School Alum Tammy splits her time between Tampa and Burbank, CA, where Daniel lives full-time. Of their combined four children, three of them are following their parent’s footsteps while one daughter works as a vet technician. Youngest daughter Julia, a junior at Steinbrenner High School in Tampa, is interested in animation. Tammy stays busy in Tampa with her company Bean Productions while not producing with Daniel on location. It’s no coincidence that the movie character Grace and Daniel’s daughter of the same name share similar qualities. Grace Roebuck does not have a cancer story but she does share a similar personality of irreverent humor with an equal mix of joy and positivity. Daniel recalls a time when two of Grace’s teachers had different reactions to her sense of humor. One thought it was a class distraction and the other found her delightful. Grace’s mom remarked that some people may never “get Grace,” and the comment stuck with Daniel. Getting Grace was filmed in Bethlehem, Pennsylvania and all of the roles for the film were all filled with local talent, many of whom are not professional actors. It was more important for Daniel to get people right for the part then have acting experience. Madelyn Dundon plays Grace and Daniel says he couldn’t think of anyone better for the role. Daniel is originally from Bethlehem and he and Madelyn graduated from the same high school. It was important for him to film in his hometown and make this a community project. While making the movie Daniel would think, “The perfect takeaway is to celebrate every moment of your life like it could be your last.” Now that the movie has premiered and he has had time with it he says he’d change the last line to be “live life like it could be your first day.” Both he and Tammy share the philosophy of making the most of each day and to not sweat the small stuff. They believe that the greater purpose in life is not self-fulfillment. Their next production is the move, The Hail Mary, which will also be filmed in Bethlehem. Getting Grace premiers in Tampa Bay today at the Citrus Park Regal Cinema and the Pinellas Park Regal Cinema. Stay connected to movie premiers and other fun things to do in Tampa by connecting to 813area. We're your free guide for events in Tampa Bay!